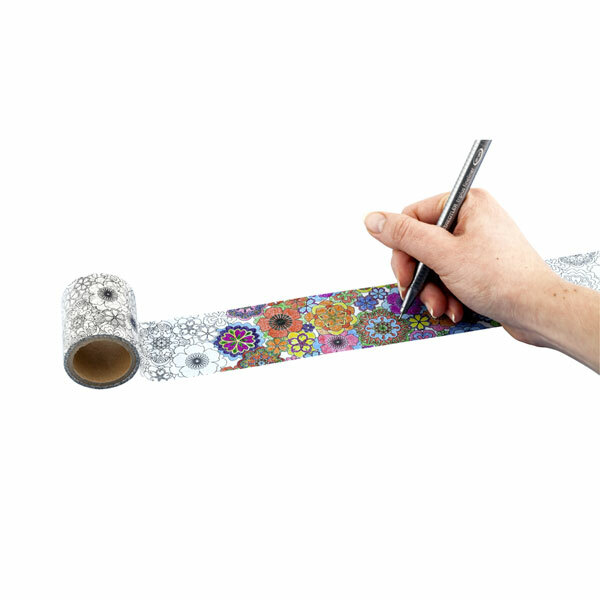 Crafters are crazy about Washi Tape, the decorative Japanese tape made from natural fibers. If you love Washi Tape and coloring, this is for you: 3 rolls to color yourself, then use for party decorations or banners, personalizing your smartphone case, scrapbooking, dressing up switch plates, and a zillion other things. 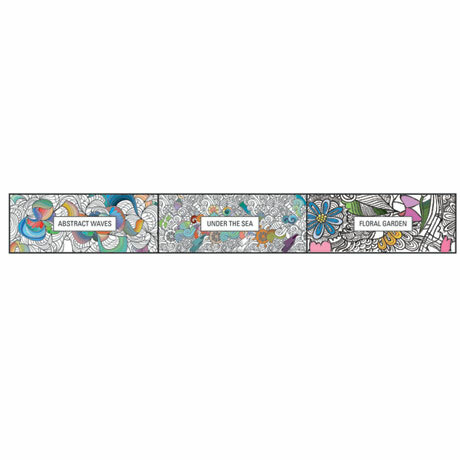 Set of 3 rolls: Floral Garden, Abstract Waves and Under The Sea. Each roll is 16 feet long and 2" wide.